Approximately 70% of American households have a fixed Internet source of 0.2 megabits per second or greater, according to the U.S. Federal Communications Commission’s (FCC) Measuring Broadband Across America Report that analyzes the digital divide in the U.S. Up 15% in the last decade, this increase in Internet subscription source has significant impact on how citizens are receiving, utilizing, and sharing vital information. Mobile Internet subscriptions with speeds higher than 200 kbps have increased by 18% since 2012 and have surpassed the amount of home connections. 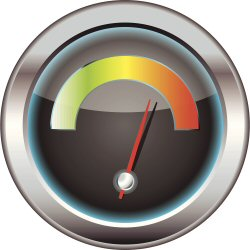 As we’ve reported before, the FCC confirms the speeds of mobile connections are increasing, with 93 million mobile connections possessing a speed of at least three megabits per second. This is up from the 43 million connections from the previous year. You can actually test your own wireless speed by downloading the FCC’s Speed Test App. The report shows us that as users demand information, they are employing mobile sources to access it. In order to cater to those needs, government mobile developers need to focus on providing the user-centered, highly-functioning content users demand, and help build better mobile practices by joining the MobileGov Community of Practice today!